Online Music Store How To Get A Refund From Pandora, iTunes, Rhapsody And Deezer? If you have subscribed to any music streaming services, you might at one point considered canceling your account or asking for a refund for services you did not use. Everyone has different reasons why they want a refund from a music streaming site, but the most common reason why people ask for refunds is the fact that they paid for a service they did not get. From time to time, these sites may refuse to refund users because of their policies and eligibility. If you send a request and you are not refunded your payment, check with your respective service to find out why. 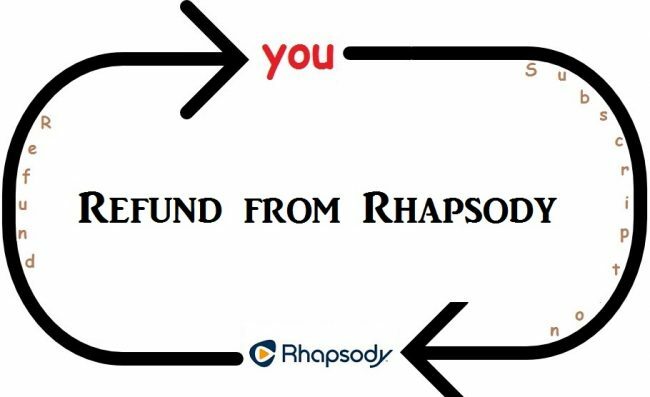 Because of the many streaming services available today, this article is going to focus on how to get a refund if you have subscribed with deeper, Rhapsody and Pandora music. To get a refund from these services, you must subscribe to either premium, family or student streaming services if they have them on their platforms. However, you must remember that for one reason or another your refund may not be possible. To make things simple for subscribers who are trying to get a refund from these services. Here are step by step tutorials that will help you to successfully get a refund from your respective services. How To Get A Refund From Pandora? 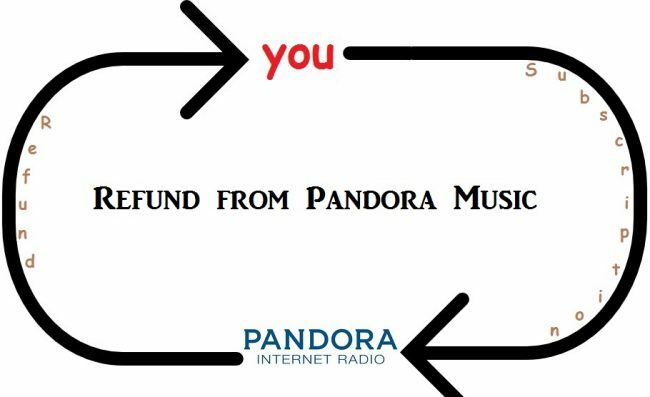 Pandora has General Refund Guidelines that users should know if they want a refund. The General Refund Guidelines of Pandora state that you are not eligible for any refund for a gift or monthly subscriptions or refunds for products bought through a third party such as Roku, Amazon Appstore or iTunes. However, Pandora does offer prorated refunds for all annual subscriptions. This means, if you purchased your subscription using a third-party, you need to contact them directly if you want a refund. How To Request A Refund From Pandora? Apparently, Pandora is unable to refund you for monthly subscriptions. If you purchased Pandora services through a computer and you are charged directly by Pandora,you need to contact a Pandora Listener Advocate for assistance. This only applies to prorated refunds for annual subscriptions. Those who purchase subscriptions using an iPhone, iPad or iPod Touch, their services are billed through iTunes, all refunds and billing discrepancies are handled by iTunes support team. How To Request A Refund From iTunes? Unfortunately, Pandora has no access to the iTunes billing system and that why they can’t offer refunds if you purchased your subscription through iTunes. •	A drop down list will open with different types of problems to be solved, select the problem and enter notes in the comment box then submit. For other third party services, you need to contact their customer care as Pandora doesn’t have access to their billing system to be able to offer refunds. How To Get A Refund From Rhapsody? Rhapsody claims that all their charges are not refundable. They don’t offer any refund for all subscriptions you purchase. However, you can call their Rhapsody.com for further understanding or for any queries. How To Get A Refund From Deezer? Deezer refund policy and steps are just the same as those of Tidal, if you have used Tidal, you know about the Deezer process of refund. 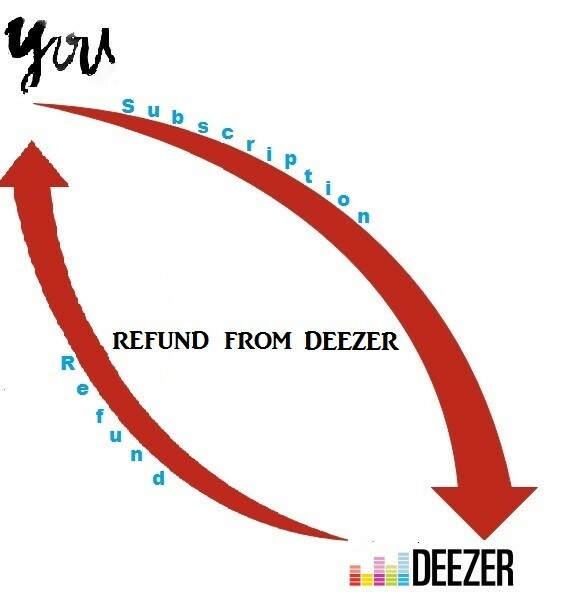 Here are the steps you can follow to get a refund from Deezer. •	Open Deezer and go to “help tab” and “click submit a request”. •	Once the window opens, follow the instructions. First, type your email address in the text field. •	On the subject box, write what issue you want addressed, which is a Refund. •	Go to the description box and offer as much information as possible about the issue.If your ‘request’ is credible and authentic, Deezer customer care will be able to address your issue quickly and in a satisfying way. •	Enter the phone number you used when opening the account, choose the subscription level, country and the method you use to pay for your subscription. Also, choose the device and add an attachment (s). You can add a screen shot of your credit card or your billing statement then submit. Deezer will get back to you about the issue. Refunds of music streaming services depend on the streaming service you are using and the subscription. Other sites don’t give a refund if you have used the services to stream or download music. If you don’t know whether you are eligible for a refund on your platform, you can contact customer care and raise the issue with them.